Traveling along with Glassley here on his explorations of Greenland is likewise just as mesmerizing for those of us who didn’t know we were interested in geology. He is a thoroughly accessible guide whose wonder at the landscape that surrounds him is infectious. Ten percent of the world’s fresh water sits frozen atop Greenland, rising to a height of 10,000 feet. The land itself is of relatively low elevation, having been ground down over billions of years and multiple ice ages; however, Glassley and his Danish colleagues, Kai Sørensen and John Korstgård, were seeking to prove that mountains the size of the Alps or Himalayas had existed on the land as of about 2 billion years ago. The ice itself presents a challenge to that kind of discovery, since only a small fringe of land is accessible; however, the ice is “receding faster than plants can take hold,” so there are opportunities for exploration. Their selected research area on the west side of the world’s largest island was a spot about 100 miles wide at the widest point — where the ice begins — and 250 miles long. When Glassley first accompanies Sørensen and Korstgård to Greenland, the expedition is motivated by the desire to quell a controversy over interpretations of the “areas of intense deformation” studied and reported on during earlier fieldwork. Based on work done in Greenland since World War II, a community of geologists had carefully crafted a theory of the collision of two small continents. Unfortunately, all the work of Sørensen, Korstgård, and their predecessors had been summarily dismissed as flawed by a team that had been in the field for a single season and cherry-picked its data. Most distressingly, that rebuttal had gained traction within the geological community — apparently, false equivalence happens in more than just politics and journalism. 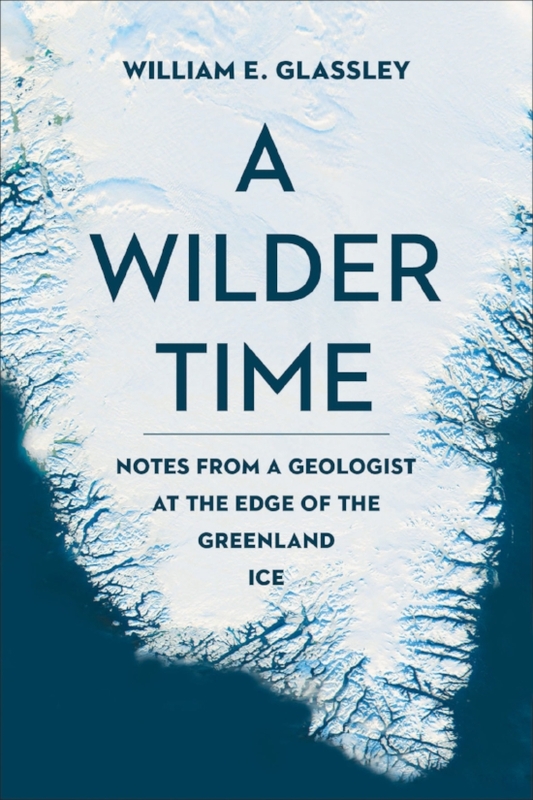 Though A Wilder Time describes the men’s exploration and explains their findings —their original theory is vindicated, and then some — it is the author’s joy and sense of wonder at the land he’s exploring that makes this slender notebook so compelling. Clouds of mosquitoes and ice-water bathing aside, he makes us long to be there, too.